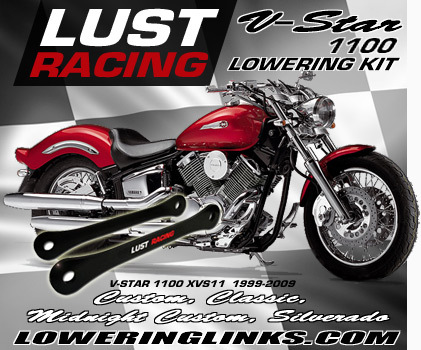 Lowering kit for V-star 1100 Custom year models 1999-2009. This lowering kit drops the rear suspension by 1.2″ inches. High quality lowering kit made out of roll forged special steel. 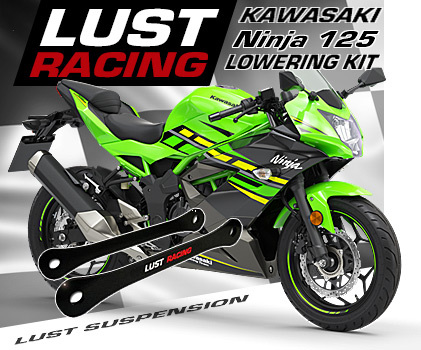 Made in Europe by Lust Racing – Europe’s leading manufacturer of high quality motorcycle lowering kits. Supplied with installation instructions. Easy to install with basic hand tools. 1.2″ inch lowering kit for V-star 1100 Custom, will fit all year models 1999 to 2009. Lowers the rear suspension by replacement of the suspension tie-rods in the rear suspension linkage on V-star 1100 Custom models. Easy to install with basic hand tools and a jack. This is a high quality aftermarket accessory for V-star Custom. The lowering links in this lowering kit are made out of roll forged steel. 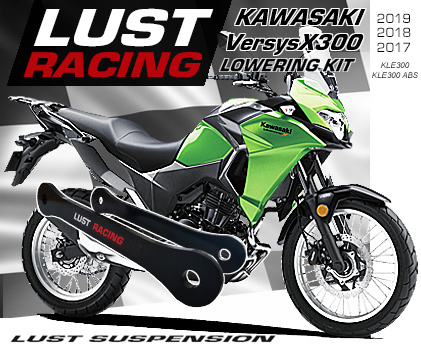 Manufactured in Europe by Lust Racing – Europe’s leading manufacturer of motorcycle lowering kits. Our PRICE INCLUDES SHIPPING, no additions to the price during check out. SAFE. We sell only high quality Genuine Lust Racing lowering kits made in steel. No junk. Buy with confidence! Order your V-star Custom 1.2″ inch lowering kit today!